Over the years the Clinical Audit Support Centre developed a wide range of materials and resources to help support patient safety work conducted by healthcare teams and professionals. This section of the website provides users with a flavour of the materials that we have available and includes reports, guides and single page infographics that we commonly use to enhance our training in root cause analysis and significant event audit. We are also mindful that many of the patient safety resources created and published by the National Patient Safety Agency (NPSA) are now looking tired and out of date and with this in mind we are in the process of reinvigorating a number of these key documents. Of course we are not in a position to showcase all of our materials in this section of the website but those who book on our accredited training will have access to the full range of resources. 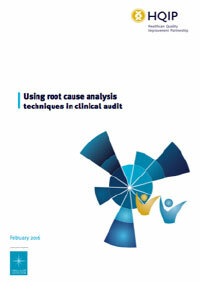 Clinical Audit Support Centre team support the use of Root Cause Analysis (RCA) to help better understand why an unwanted outcome or patient safety incident has taken place. CASC have significant experience in conducting and critiquing Root Cause Analysis and we offer accredited training, critical reviews of current RCA delivery in healthcare settings, even advice from a trained healthcare counsellor for those that have been involved in patient safety incidents, etc. In 2016 we were commissioned by the Healthcare Quality Improvement Partnership (HQIP) to create a ground-breaking guide examining how RCA techniques could be used to help enhance clinical audit projects. Below you will find a selection of infographics that we have developed to help raise awareness and understanding in RCA. These include a brief history of RCA, an overview of the RCA process, an introduction to run charts, our human factors dirty dozen, etc. Those who attend our accredited training will gain access to an even wider set of resources and materials. 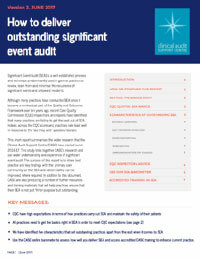 Clinical Audit Support Centre team members have over 30-years of experience of helping healthcare teams to undertake significant event audit (SEA). We deliver accredited training in SEA, have undertaken wide ranging reviews looking at the delivery of SEA, successfully set up SEA for teams working outside the traditional general practice sector and produced best practice guides and documents in relation to SEA. We have also carried out an extensive study of Care Quality Commission reports in order to gain a wider insight into how well SEA is delivered and supported in general practice/primary care. Below you will find a selection of infographics that we have developed to help raise awareness and understanding in SEA. These include our best practice guide on how to deliver SEA, a brief history of SEA, an overview of the SEA process, etc. There are a number of key historical leaders synonymous with trying to improve patient safety in healthcare. 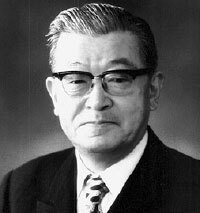 These range from the long departed legends of yester-year like Sakichi Toyoda and Kaoru Ishikawa (pictured) who helped develop many of the techniques we now use to understand why the desired/intended outcome has not been achieved, through to current day gurus like James Reason and Mike Pringle who have made important additions to the work of their predecessors. We have created a number of simple one-page infographics that introduce the key patient safety leaders, explain their contributions and direct you to more detailed resources.